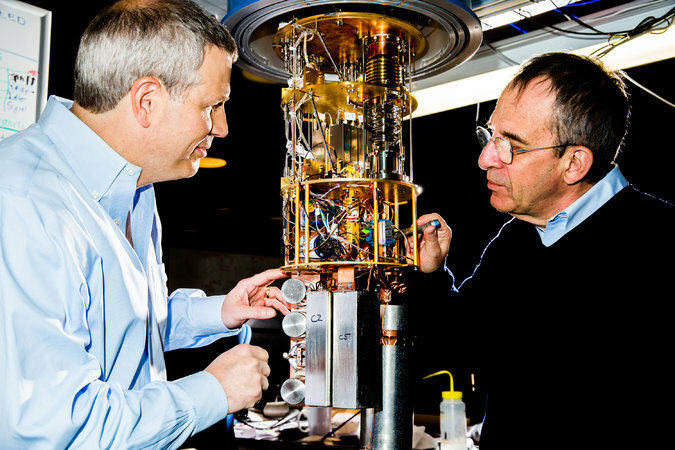 Robert Schoelkopf is at the forefront of a worldwide effort to build the world’s first quantum computer. Such a machine, if it can be built, would use the seemingly magical principles of quantum mechanics to solve problems today’s computers never could. Three giants of the tech world — Google, IBM, and Intel — are using a method pioneered by Mr. Schoelkopf, a Yale University professor, and a handful of other physicists as they race to build a machine that could significantly accelerate everything from drug discovery to artificial intelligence. So does a Silicon Valley start-up called Rigetti Computing. And though it has remained under the radar until now, those four quantum projects have another notable competitor: Robert Schoelkopf. After their research helped fuel the work of so many others, Mr. Schoelkopf and two other Yale professors have started their own quantum computing company, Quantum Circuits. Based just down the road from Yale in New Haven, Conn., and backed by $18 million in funding from the venture capital firm Sequoia Capital and others, the start-up is another sign that quantum computing — for decades a distant dream of the world’s computer scientists — is edging closer to reality. Quantum computing systems are difficult to understand because they do not behave like the everyday world we live in. But this counterintuitive behavior is what allows them to perform calculations at rate that would not be possible on a typical computer. Today’s computers store information as “bits,” with each transistor holding either a 1 or a 0. But thanks to something called the superposition principle — behavior exhibited by subatomic particles like electrons and photons, the fundamental particles of light — a quantum bit, or “qubit,” can store a 1 and a 0 at the same time. This means two qubits can hold four values at once. As you expand the number of qubits, the machine becomes exponentially more powerful. The trouble is that storing information in a quantum system for more than a short amount of time is very difficult, and this short “coherence time” leads to errors in calculations. But over the past two decades, Mr. Schoelkopf and other physicists have worked to solve this problem using what are called superconducting circuits. They have built qubits from materials that exhibit quantum properties when cooled to extremely low temperatures. With this technique, they have shown that, every three years or so, they can improve coherence times by a factor of 10. This is known as Schoelkopf’s Law, a playful ode to Moore’s Law, the rule that says the number of transistors on computer chips will double every two years. These superconducting circuits have become the primary area of quantum computing research across the industry. One of Mr. Schoelkopf’s former students now leads the quantum computing program at IBM. The founder of Rigetti Computing studied with Michel Devoret, one of the other Yale professors behind Quantum Circuits. In recent months, after grabbing a team of top researchers from the University of California, Santa Barbara, Google indicated it is on the verge of using this method to build a machine that can achieve “quantum supremacy” — when a quantum machine performs a task that would be impossible on your laptop or any other machine that obeys the laws of classical physics. There are other areas of research that show promise. Microsoft, for example, is betting on particles known as anyons. But superconducting circuits appear likely to be the first systems that will bear real fruit. The belief is that quantum machines will eventually analyze the interactions between physical molecules with a precision that is not possible today, something that could radically accelerate the development of new medications. Google and others also believe that these systems can significantly accelerate machine learning, the field of teaching computers to learn tasks on their own by analyzing data or experiments with certain behavior. A quantum computer could also be able to break the encryption algorithms that guard the world’s most sensitive corporate and government data. With so much at stake, it is no surprise that so many companies are betting on this technology, including start-ups like Quantum Circuits. The deck is stacked against the smaller players, because the big-name companies have so much more money to throw at the problem. But start-ups have their own advantages, even in such a complex and expensive area of research. Though Quantum Circuits is using the same quantum method as its bigger competitors, Mr. Schoelkopf argued that his company has an edge because it is tackling the problem differently. Rather than building one large quantum machine, it is constructing a series of tiny machines that can be networked together. He said this will make it easier to correct errors in quantum calculations — one of the main difficulties in building one of these complex machines. But each of the big companies insist that they hold an advantage — and each is loudly trumpeting its progress, even if a working machine is still years away. Mr. Coughran said that he and Sequoia envision Quantum Circuits evolving into a company that can deliver quantum computing to any business or researcher that needs it. Another investor, Canaan’s Brendan Dickinson, said that if a company like this develops a viable quantum machine, it will become a prime acquisition target. The world’s largest chip company sees a novel path toward computers of immense power. 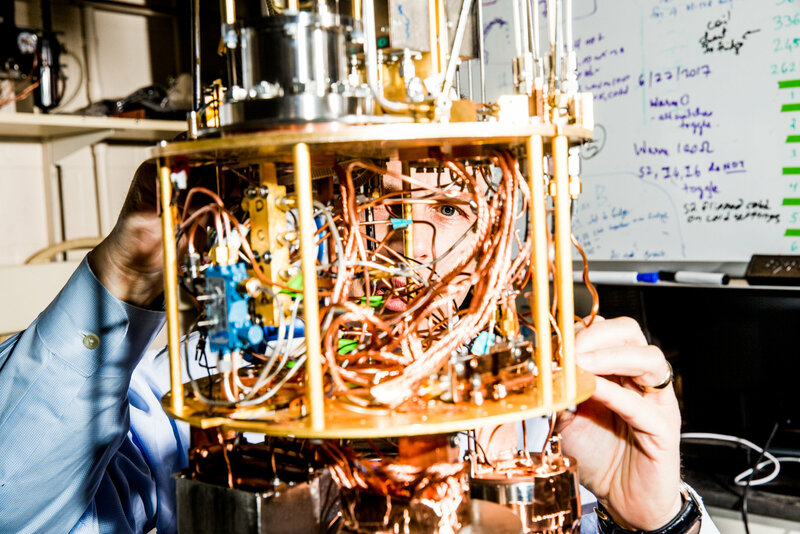 Researchers at TU Delft in the Netherlands use equipment like this to test quantum computing devices at supercool temperatures, in a collaboration with chip maker Intel. No image credit. Sometimes the solution to a problem is staring you in the face all along. Chip maker Intel is betting that will be true in the race to build quantum computers—machines that should offer immense processing power by exploiting the oddities of quantum mechanics. Competitors IBM, Microsoft, and Google are all developing quantum components that are different from the ones crunching data in today’s computers. But Intel is trying to adapt the workhorse of existing computers, the silicon transistor, for the task. Intel has a team of quantum hardware engineers in Portland, Oregon, who collaborate with researchers in the Netherlands, at TU Delft’s QuTech quantum research institute, under a $50 million grant established last year. Earlier this month Intel’s group reported that they can now layer the ultra-pure silicon needed for a quantum computer onto the standard wafers used in chip factories. This strategy makes Intel an outlier among industry and academic groups working on qubits, as the basic components needed for quantum computers are known. Other companies can run code on prototype chips with several qubits made from superconducting circuits (see Google’s Quantum Dream Machine). No one has yet advanced silicon qubits that far. A quantum computer would need to have thousands or millions of qubits to be broadly useful, though. And Jim Clarke, who leads Intel’s project as director of quantum hardware, argues that silicon qubits are more likely to get to that point (although Intel is also doing some research on superconducting qubits). One thing in silicon’s favor, he says: the expertise and equipment used to make conventional chips with billions of identical transistors should allow work on perfecting and scaling up silicon qubits to progress quickly. Intel’s silicon qubits represent data in a quantum property called the “spin” of a single electron trapped inside a modified version of the transistors in its existing commercial chips. “The hope is that if we make the best transistors, then with a few material and design changes we can make the best qubits,” says Clarke. Another reason to work on silicon qubits is that they should be more reliable than the superconducting equivalents. Still, all qubits are error prone because they work on data using very weak quantum effects (see Google Researchers Make Quantum Components More Reliable). The new process that helps Intel experiment with silicon qubits on standard chip wafers, developed with the materials companies Urenco and Air Liquide, should help speed up its research, says Andrew Dzurak, who works on silicon qubits at the University of New South Wales in Australia. “To get to hundreds of thousands of qubits, we will need incredible engineering reliability, and that is the hallmark of the semiconductor industry,” he says. Companies developing superconducting qubits also make them using existing chip fabrication methods. But the resulting devices are larger than transistors, and there is no template for how to manufacture and package them up in large numbers, says Dzurak. Chad Rigetti, founder and CEO of Rigetti Computing, a startup working on superconducting qubits similar to those Google and IBM are developing, agrees that this presents a challenge. But he argues that his chosen technology’s head start will afford ample time and resources to tackle the problem. Google and Rigetti have both said that in just a few years they could build a quantum chip with tens or hundreds of qubits that dramatically outperforms conventional computers on certain problems, even doing useful work on problems in chemistry or machine learning. 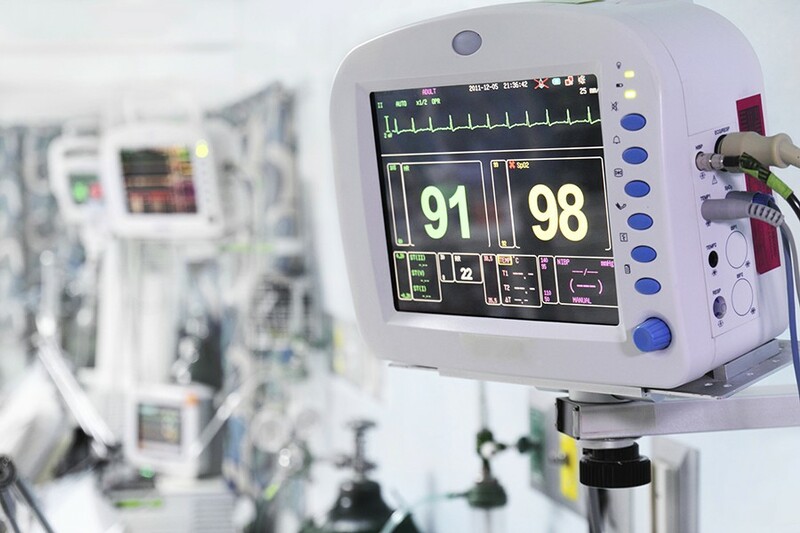 The Johns Hopkins University School of Medicine and Microsoft have announced plans to work together to redesign the way medical devices in an intensive care unit talk to each other. The two organizations plan to develop a health IT solution that collects data from different monitoring equipment and identifies key trends aimed at preventing injuries and complications that can result from medical care. The idea stems from the Johns Hopkins Armstrong Institute for Patient Safety and Quality’s research on checklists to reduce infections and its pilot program called Project Emerge, which uses technology to restructure a hospital’s workflow in an effort to eliminate the most common causes of preventable harm and promote better patient outcomes. While most efforts to improve safety focus on one harm, Project Emerge seeks to eliminate all harms, including medical complications such as blood clots and pneumonia, as well as emotional harms like a lack of respect and dignity. Four million patients are admitted to ICUs in the U.S. each year, and between 210,000 and 400,000 patients die annually from a potentially preventable complication, making medical errors the third leading cause of death, behind heart disease and cancer. In collaboration with Microsoft, Johns Hopkins plans to revamp Project Emerge to better serve patients in intensive care environments. Johns Hopkins will supply the clinical expertise for the build, while Microsoft will provide advanced technologies, including Azure cloud platform and services, as well as software development expertise. Using Azure, the improved solution will collect and integrate information from several modern devices and provide critical analytics, computing, database, mobility, networking, storage, and Web functions. The final product will allow physicians to see trends in a patient’s care in one centralized location and let them access critical patient information from any hospital-approved, Windows device. Pilot projects are estimated to begin in 2016. This initiative is one of several collaborations between the two organizations designed to foster innovative, health-based technologies. Earlier this year, Microsoft became a sponsor of FastForward, Johns Hopkins’ new business incubator designed to accelerate product development for health IT startup companies. Johns Hopkins also recently joined Microsoft’s Partner Network, which provides enhanced services to the university. The initial build of Project Emerge was funded by the Gordon and Betty Moore Foundation. The Armstrong Institute, Johns Hopkins University Applied Physics Laboratory, and the University of California, San Francisco, collaborated on the project to develop and test the initial prototype. What Gilman created was a research university, dedicated to advancing both students’ knowledge and the state of human knowledge through research and scholarship. Gilman believed that teaching and research are interdependent, that success in one depends on success in the other. A modern university, he believed, must do both well. The realization of Gilman’s philosophy at Johns Hopkins, and at other institutions that later attracted Johns Hopkins-trained scholars, revolutionized higher education in America, leading to the research university system as it exists today.